While other films this summer might have more direct dollars at stake, this weekend's biggest new film may have the most to say about a studio's long term strategy than any other this season. It's a bit of a “follow the leader” strategy, but one that could lead to billions in revenue and the resurrection of number of beloved characters. Man of Steel is Warner Bros' latest attempt to bring back the Superman brand, which if you go back, has really never recovered as a film franchise from Superman III, let alone the all-world badness of Quest for Peace. 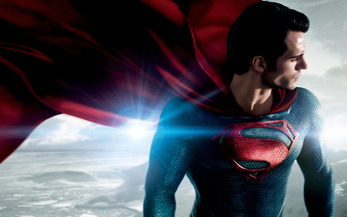 In 2006, Superman Returns tried to pretend those films never existed, and the thought was that a semi-reboot with a capable comic book director (in Bryan Singer) could bring people back to the franchise. All they had to do was make a good film and people would come. In some respects, that's still an untested theory, since Singer's Superman turned him into a peeping-tom deadbeat dad and the plot remains entirely unmemorable to this day (something about real estate?). So, WB has turned to the man who saved their other big comic franchise, Christopher Nolan – albeit by proxy, as he's writing and producing this one, with directing duties going to Zach Snyder, he of Dawn of the Dead (that's good) and Sucker Punch (that's bad). The notion seems here to be that dark is the way to go, a la the ultra-gritty Batman reboot, with Man of Steel focusing on the outcast nature of the character. As well, the action and consequences seem to be ramped up to 11, with General Zod being brought in as the villain and threatening to destroy the planet in his quest to bring Superman back to Krypton.